James thinks that psychologists focus too much on those parts of consciousness that get picked out by substantive words. He describes habit as part of a general natural pattern in which things that happen once tend to create pathways for themselves in surrounding material to allow the same thing to happen again more easily. Be careful what you do, because your organism is recording all of your bad behavior and corrupting your character! Start with part one or get the ad-free, unbroken Citizen Edition. 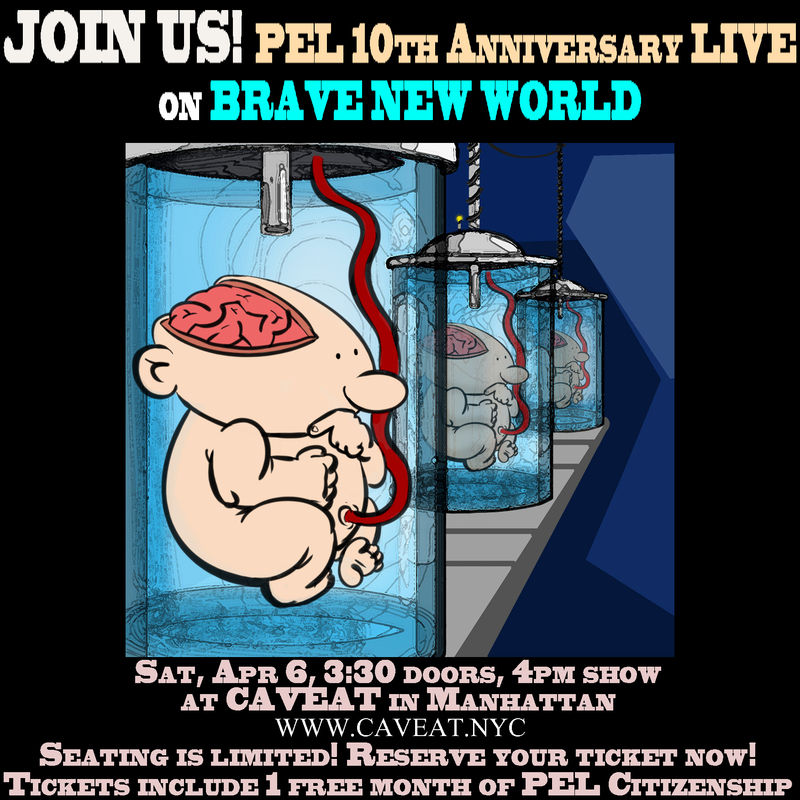 Please support PEL! 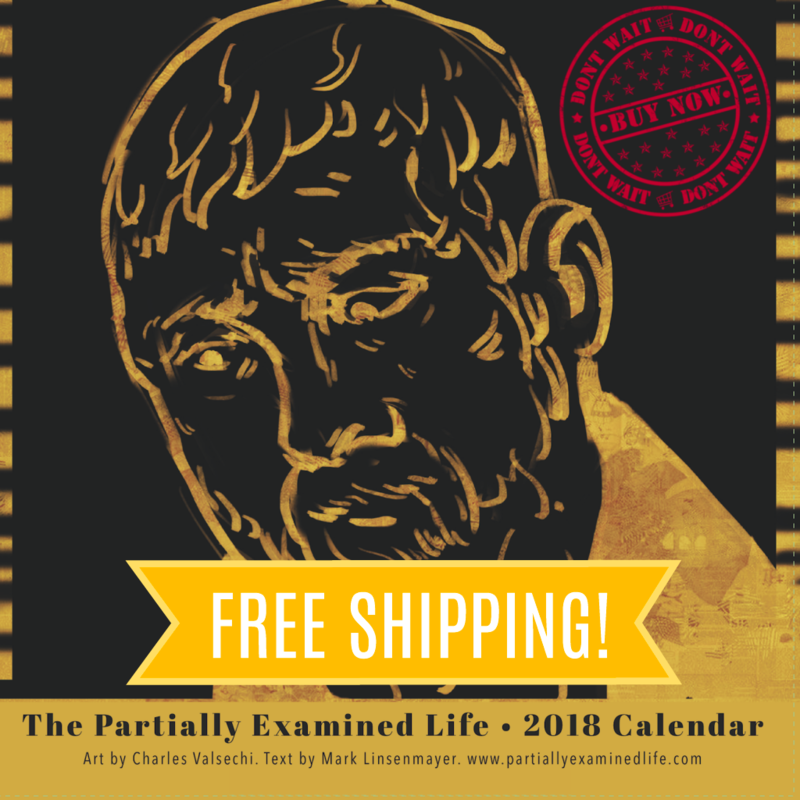 Get a 2018 PEL Wall Calendar! Sponsors: Get up to $50 off a DNA kit at 23andme.com/pel. Visit MUBI.com/PEL for 30 days of free curated movies. We interview John about Seeing Things As They Are (2015). What is perception? Searle says that it’s not a matter of seeing a representation that is then related to things in the real world. We see the actual objects, with no mediation. But then how can there be illusions? Well, it’s complicated, but not too complicated, just some funny terminology that this episode will teach you. On Sigmund Freud’s On Dreams (1902) and other stuff. Are dreams just random, or our best key to understanding the mind? After you listen to this, check out the aftershow. End song: “Sleep” by Mark Lint. Read about it. We’ll talk about what Freud thinks dreams are for. 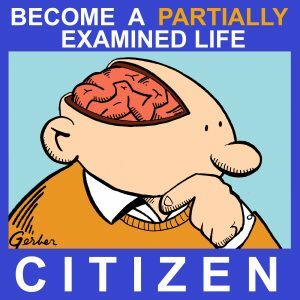 Citizens can listen now, and the public episode will be released on two parts starting Monday. On Sigmund Freud’s On Dreams (1902), a bit of The Interpretation of Dreams (1899), and the lecture, “Revision of the Theory of Dreams” (1933). Are dreams just a bunch of random crap? Freud says, no, they’re actually the first and best way to figure out the structure of the mind, which (surprise) involves the unconscious and how repressed, anti-social desires get (sort of) revealed to us, albeit smashed together through chains of association with what seems like random crap. How can Freud support such a view? Is it science? What are its implications for our capacity to philosophize? End song: “Sleep” by Mark Lint. On Superintelligence: Paths, Dangers, and Strategies (2014) with the author. What can we predict about, and how can we control in advance, the motivations of the entity likely to result from eventual advances in machine learning? Also with guest Luke Muehlhauser. On Superintelligence: Paths, Dangers, and Strategies (2014) with the author. What can we predict about, and how can we control in advance, the motivations of the entity likely to result from eventual advances in machine learning? Also with guest Luke Muehlhauser. Learn more. End song: “Volcano,” by Mark Linsenmayer, recorded in 1992 and released on the album Spanish Armada: Songs of Love and Related Neuroses. We interviewed Nick Bostrom on his book Superintelligence: Paths, Dangers, Strategies. How can philosophers stop robots from killing us all?